Xenon Arc Searchlights Archives | The Carlisle & Finch Co.
25 Million Beam Candlepower projects beam 5000 meters on a clear night! 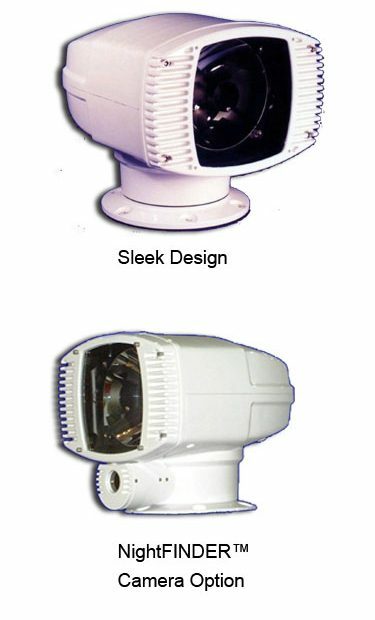 It can be mounted upside down, and also includes unique Security Features, such as the integration of a Thermal Camera, as well as a High Powered Strobe which transforms the searchlight instantly, into a Non-lethal weapon. 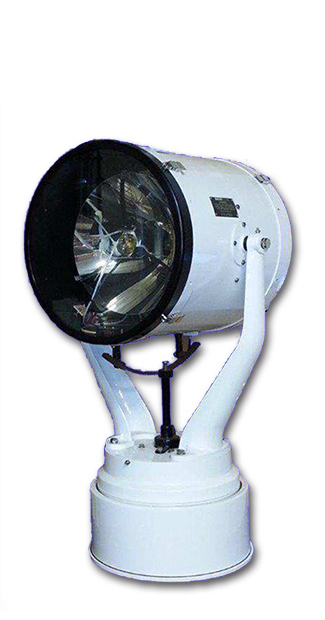 This rare combination of extreme power, ruggedness and sparkling beauty, has enabled this product to be installed on many hundreds of Patrol Boats, Ferry Boats, Commercial Marine Vessels, and the World’s Largest Custom Yachts, throughout the world! 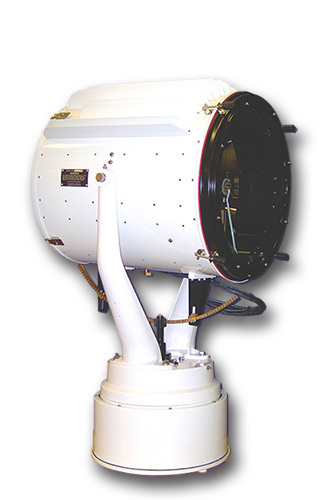 This searchlight is the ultimate in light power, with a beam intensity rating of 177 Million Beam Candlepower, which services a distance of over 8.2 miles (13.3 km) on a clear night. It can be offered with multiple aiming configurations (i.e. Electric Joystick, Remote Manual Lever and Local Handle), and it is used for Navy, Coast Guard, Anti-Piracy and Land-Based Security Applications. 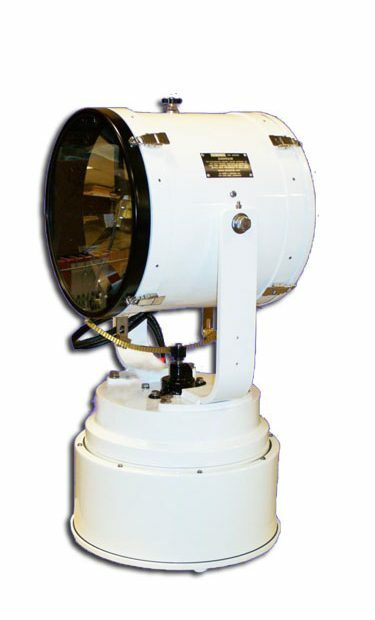 The 500 Watt Xenon Searchlight product line is rugged and robust, and used widely by the U.S. Army, U.S. Coast Guard, U.S. Navy and all throughout the Commercial Marine World for marine spotlights. 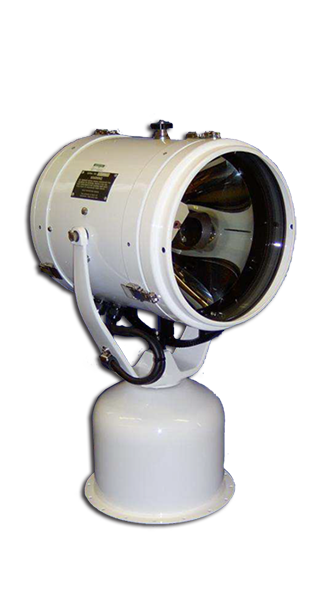 It has also become the standard xenon searchlight product used by U.S. State and Federal Prisons. A “Special Brass Chrome Version” mounted on an aesthetic motorized Pan/Tilt Base, is used by the World’s Largest Custom Yachts. This product offers a wide range of features, with three different methods of aiming.